During the interview the true reason for departure is revealed, as is the depth of feeling that led up to the departure and what "tipped the scale". The independence of Heartstone removes the barriers to open and honest comments. 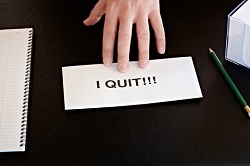 Exit Interviews are best conducted immediately after a resignation is accepted and before announcement to the company.